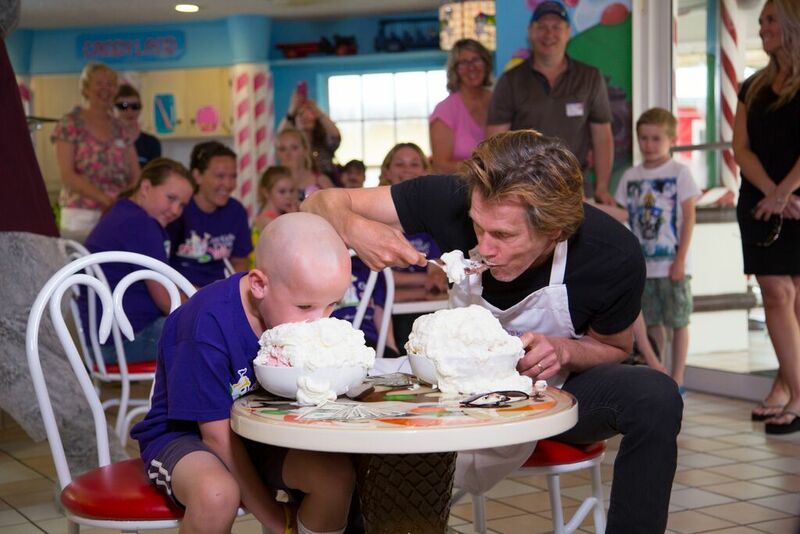 By now I hope you have all watched the video of Kevin Bacon accepting Ethan’s 6 second ice cream challenge. If you haven’t here it is below! 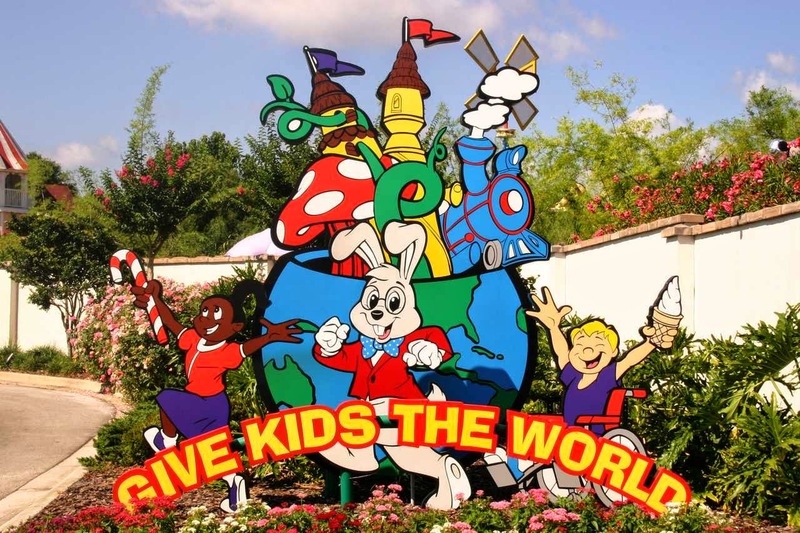 Have you ever heard of a place called Give Kids The World? If your kid has never had a life threatening illness, than most likely you have not. Give Kids The World was created in memory of a little girl named Amy who lost her battle to Leukemia before she could ever see her wish come true. All she wanted was to experience a magical visit to a theme park. Today, through the generosity of corporate donations and an amazing ALL VOLUNTEER staff, thousands of kids get to see their wishes come true each year. Children who have a life threatening illness and their families are treated like royalty at this resort at no cost to them. My niece Ashley was one of those wish kids. Ashley was diagnosed with Leukemia when she was just three years old. Today, we are lucky she is a survivor getting ready for her senior year of high school. Ashley spent nearly 5 months living in a hospital and battled Leukemia for two years. After all her friends had gone off to preschool, she was still home learning how to walk again and catching up on her ABC’s. There are many kids who have endured much worse, or continue to fight against much worse. But, when they get to stay at Give Kids The World, they get to know the joy of being a kid. 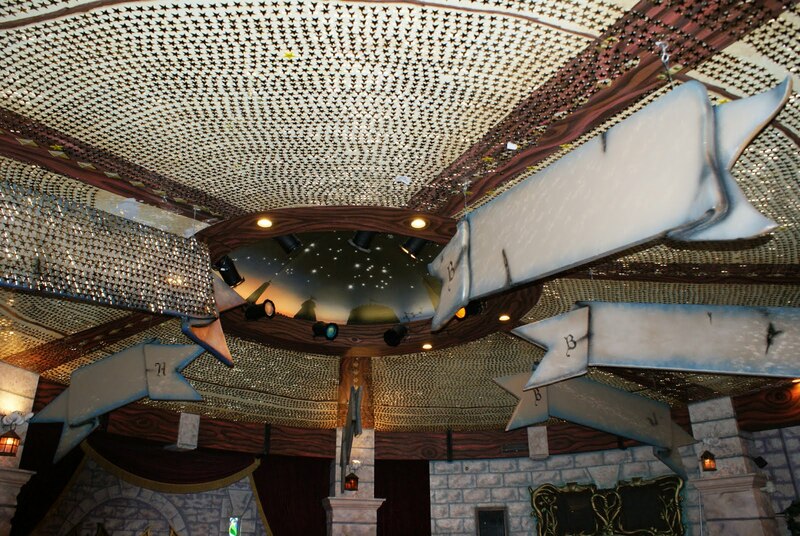 Wish Stars hanging inside the Castle of Miracles. My nieces star still hangs inside. I had the privilege of visiting this not for profit resort when my niece made her wish to see Disney. During her stay, Ashley and her family were given a luxurious and spacious villa to stay in. Each morning gifts were delivered to Ashley and her little brother. After leaving their jobs, but still having to pay for medical and travel expenses for two years, my brother and his wife did not have to worry about the cost of food, park ticket prices, souvenirs, or where to find fun activities. I tear up every time I remember what a relief it was for all of us to see Ashley running and playing like a typical kid. She definitely got to make up for the lost time in her early childhood. 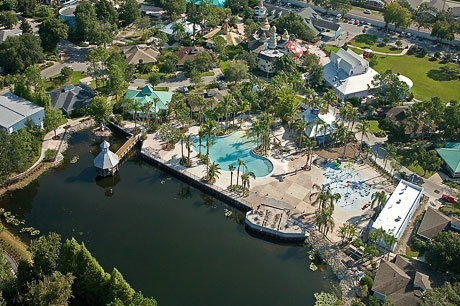 An aerial view of the resort. I want to share this with you on my blog because I think it helps to know how truly special this charity is. I want everyone to see where their six dollar donation goes. For every dollar taken in, Give Kids The World spends 91.7 cents on providing a cost free vacation for thousands of children with a life threatening illness. A vacation they may never have known possible. The staff is all volunteer and they log in over 1,400 shifts per week. They bend over backwards to give every kid and their family … well, the world. Please watch Kevin Bacon’s video and take the ice cream challenge and upload your own video! Six dollars does not seem like a lot when you know how much happiness those dollars bring a kid making up for lost time. Ethan and Kevin Bacon 6 second ice cream challenge. Step 1: Challenge a friend or family member to the #GKTWChallenge. Step 2: Stuff your face with ice cream for 6 seconds. Get it all on video. Step 4: Share your video using the hashtag #GKTWChallenge. Challenge friends and family members to do steps 1-4. Within minutes of posting this several of my mom friends coordinated a park meet up with ice cream. We will each donate $6.00 per challenge and make a video of the results. So quick. So easy! Such a fun challenge for such a great cause! What a great thing! Giving back is such a rewarding experience, and it makes it that much better when there are these fun challenges involved. Thanks for sharing this! What a FUN idea for such a great cause! My kids would love to participate! This is so fun! What a great cause! What a fun way to give! I am a huge supporter of Leukemia and Lymphoma Society! I used to volunteer with a chapter before moving away from that area. It was fun working on the publicity end and setting up events! The Light The Night events are so incredibly touching! I have heard a lot about Light the Night, but I have never participated in one. Tho I have taken part in many Relay for Life – 24 hour walk. So cool that you have helped work the vents! They could not be done without volunteers! Thank you! Wonderful cause! All kids love ice cream. I think I still prefer ice cream to many other sweets. With so many challenges going around the internet, I am glad this is not only fun but a great cause! Thanks for sharing! Ahh how exciting! This is such a sweet campaign! What a great place. My cousin had leukemia has a child twice and now she is in her early 20’s and healthy. I love when celebrities give their time to good causes like this. Meeting Johnny Depp was my cousin’s make a wish. Did she get that wish? I have never heard of this group before. What a wonderful organization! Thank you for sharing!